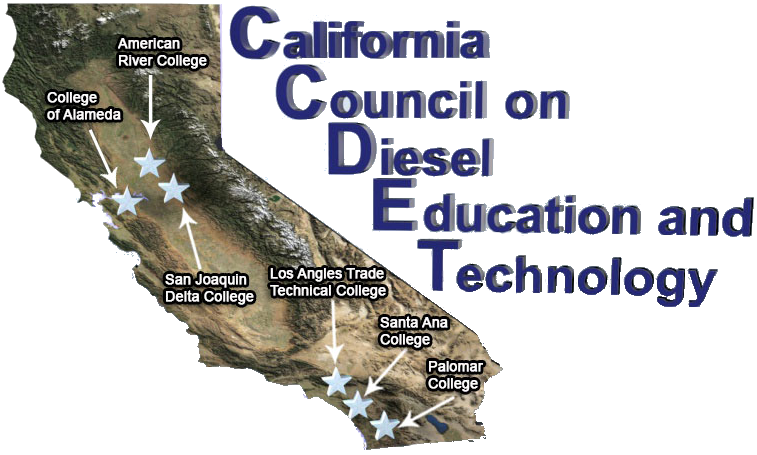 Instructions: The California Council on Diesel Education and Technology provides one-day training courses through selected Community Colleges. Find a college and class date that fit your schedule, and then click the Register Button. Registration procedures differ slightly by college. Follow the instructions on the form or page that displays after clicking Register. Price: Free during initial deployment! This 4-hour course covers implementing the opacity testing for Cargo Handling Equipment (CHE). It includes the environmental and health impacts of particulate matter, smoke test regulations, requirements, and standards as they apply to CHE, SAE J1667 Snap-Acceleration Test procedures with specific variations for CHE, Opacity Test fail procedures, considerations for testing CHE with retrofitted DPFs, and an approved procedure for performing the Snap-Acceleration Test on RTG Cranes. The course includes both classroom and hands-on components. This page last reviewed Mar 13, 2019 @ 2:06 pm.